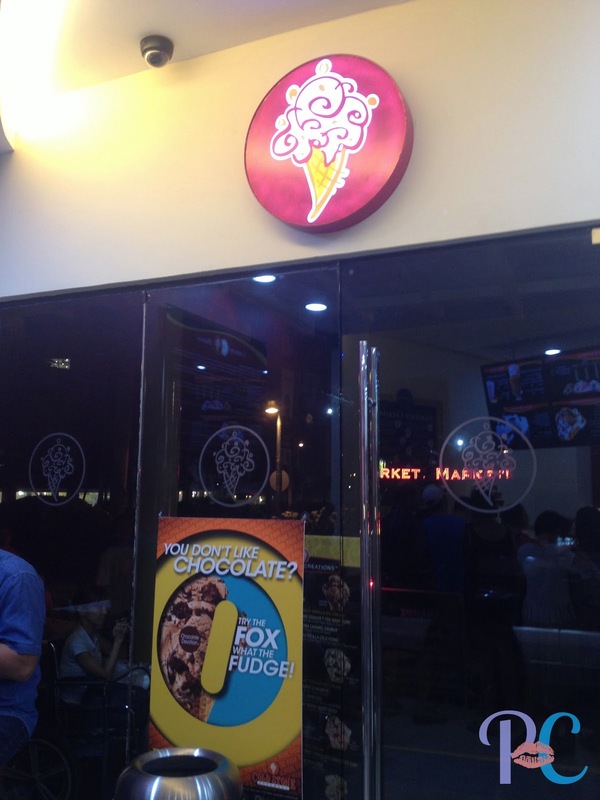 Häagen-Dazs has always been one of my favorite ice creams growing up so can you imagine how devastated I was when it closed down here in the Philippines? Every chance I get whenever I’m out of the country, I always get a pint or scoops of their classic strawberry flavor. Mmm, just thinking about it makes me miss my sweetest indulgence and its frozen strawberry chunks! But wait! Do you believe that if one door closes, another opens? 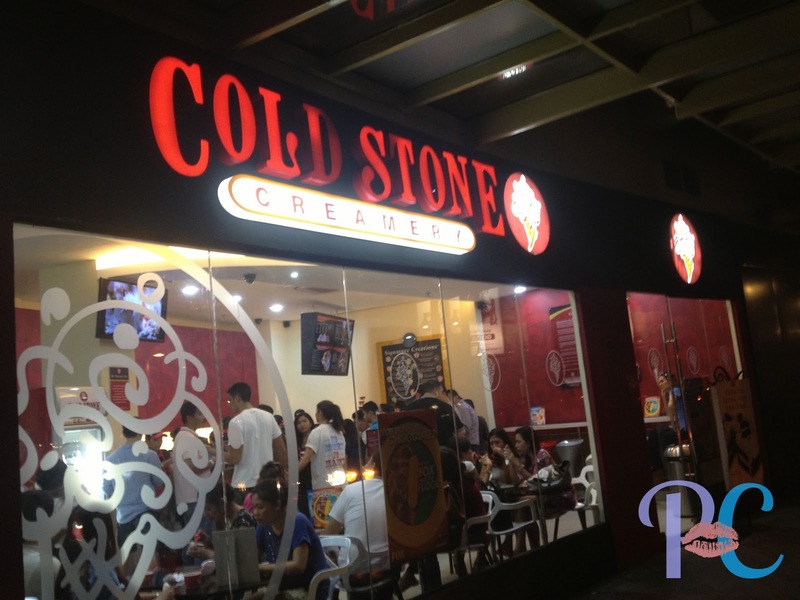 The sweet tooth fairies of frozen delights have granted my wish – a Cold Stone Creamery in the Philippines. 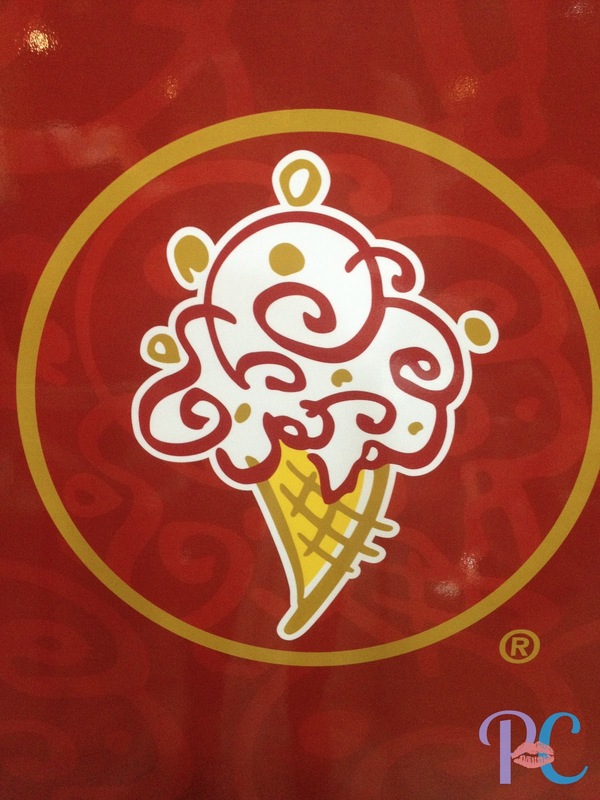 Try picturing the tiny hearts drawn in the pupils of my eyes when I saw this logo in Serendra. 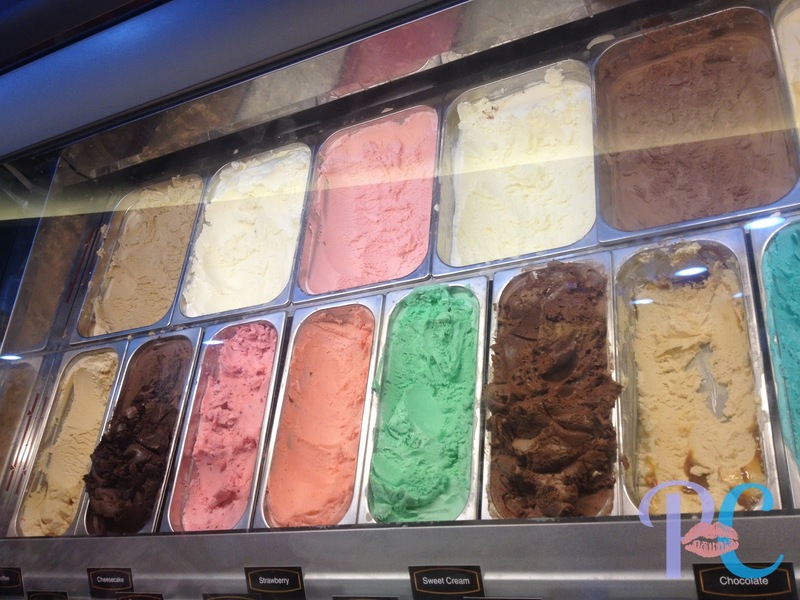 I literally skipped with joy going inside the ice cream parlour. 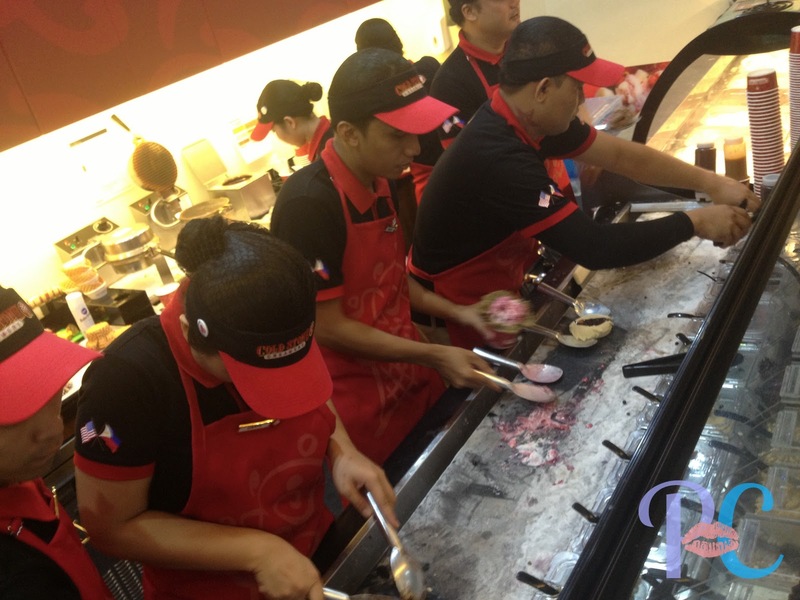 Yep, America’s famous ice cream is finally in the Philippines! 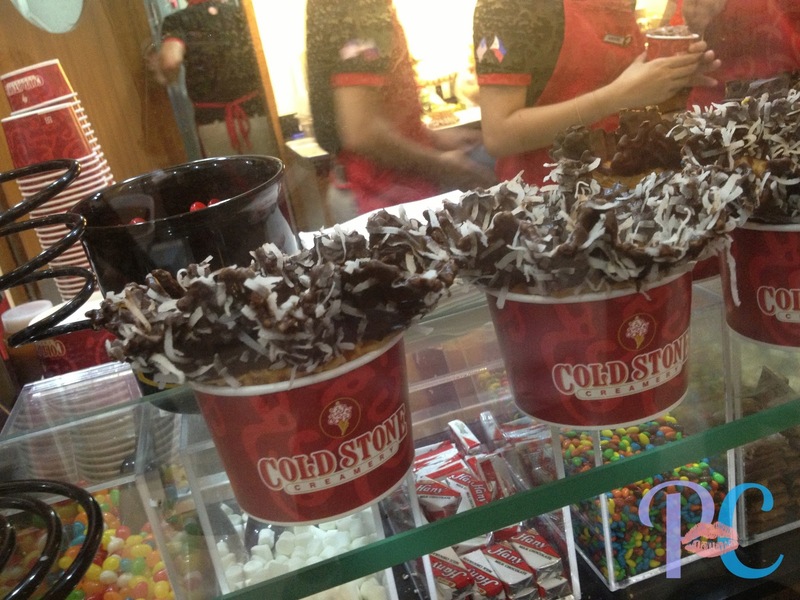 I am warmly greeted by one of the waiters who gives me the scoop on Cold Stone. 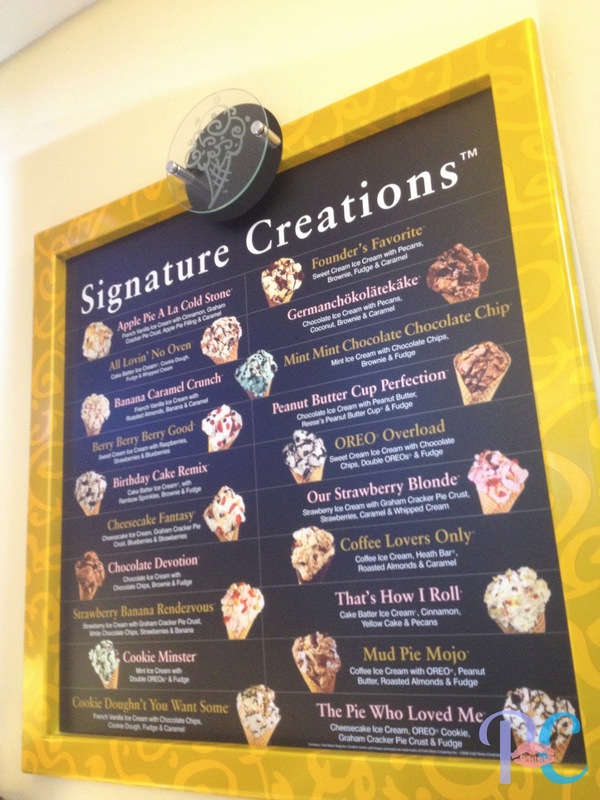 Their mouth watering flavors and signature creations are to DIE FOR. 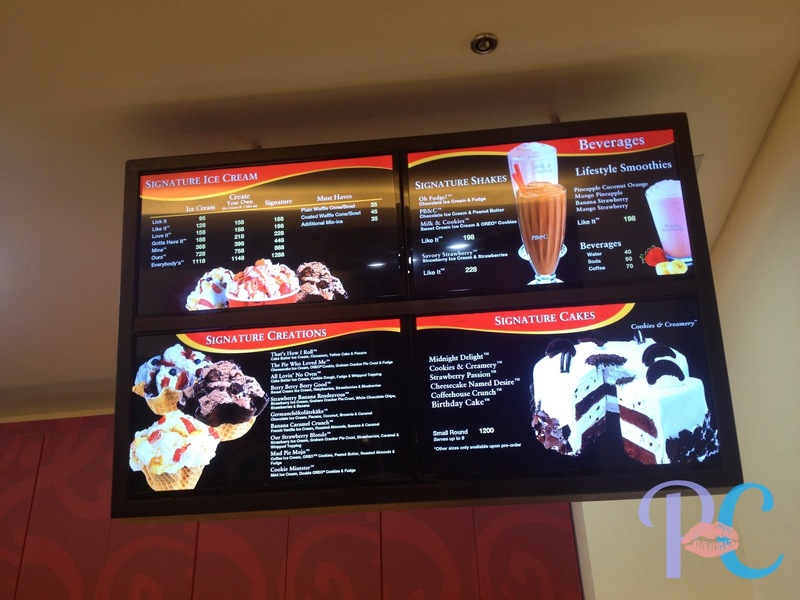 The ice cream is imported here from the United States so rest assured that it is just as delectable. 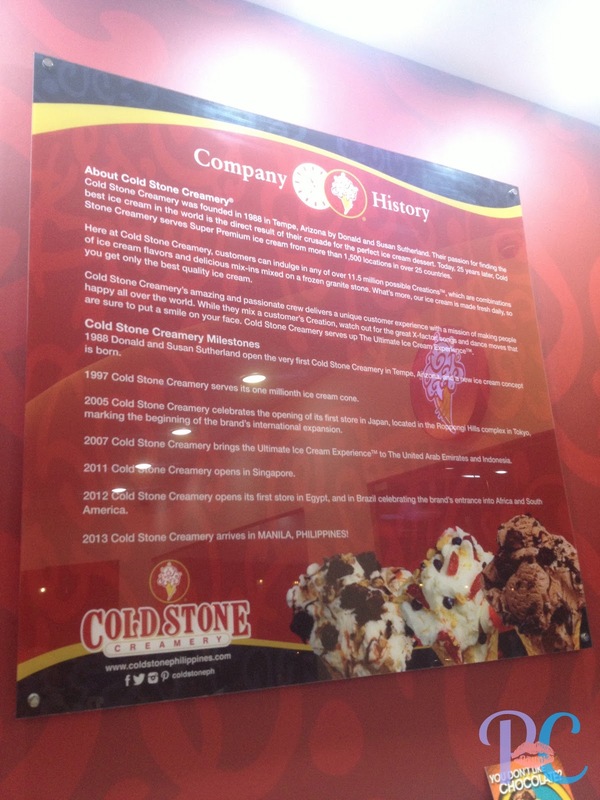 Just recently, I found out that the franchise holder is Arizona Ice Cream Corporation. 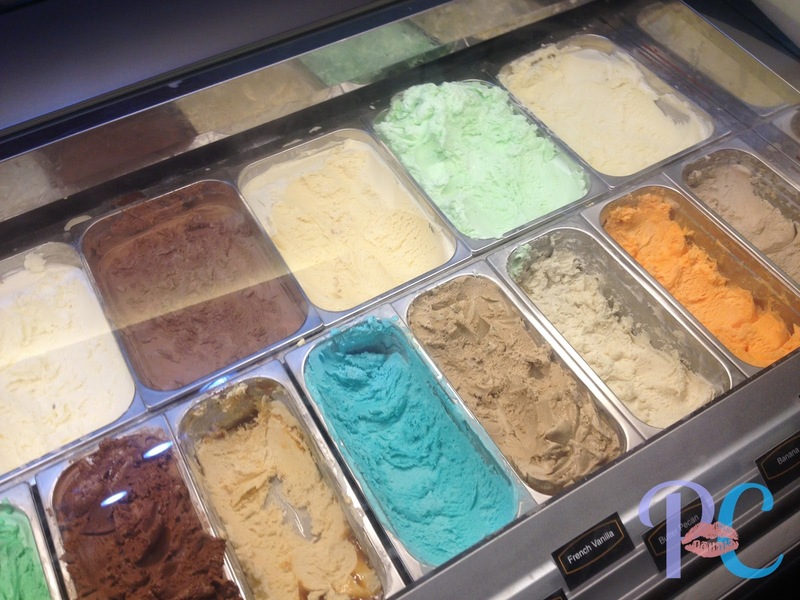 You have a choice to add toppings and placing your choice of ice cream flavor(s) on a waffle cone or a cup. What did I order? Love It (Literally! 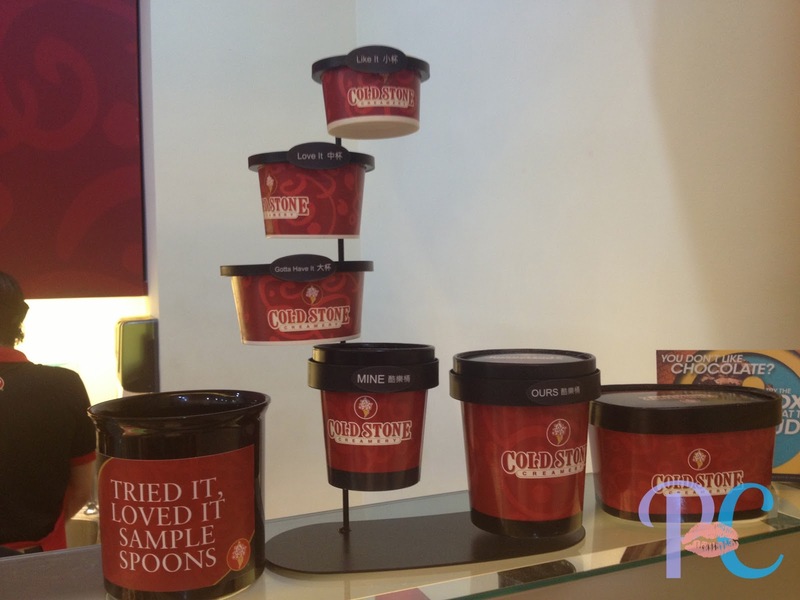 ‘Love It’ is actually an ice cream cup size!) with strawberry and cake batter ice cream without toppings. What can I say? I am a certified strawberry baby! .. It has been compromised. 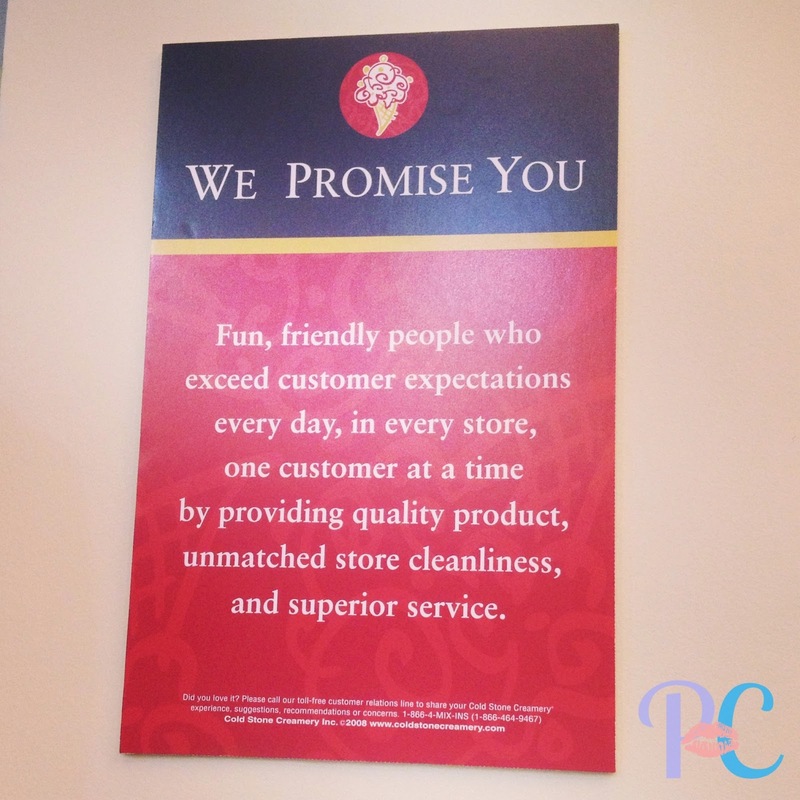 Thank you very much Cold Stone for meeting my expectations. You got everything checked listed in your promise! I can’t wait for the SM Mall of Asia branch to open this month.